Fabric Mart Fabricistas: Made by a Fabricista: Going Vintage for a Great Fitted Pair of Shorts. Made by a Fabricista: Going Vintage for a Great Fitted Pair of Shorts. I usually spend my sewing time sewing up pretty little floral frocks, but I do know that one of my most worn makes ever was a pair of pants I made for this blog way back in November of 2015. The ponte pants I made for that post have been worn all over the world and for all sorts of occasions. I knew I wanted some of that magic in a pair of shorts, so my idea for this month's post was born. I had seen a suiting fabric in Julie's Picks for May that would work for this pattern, a stretchy very dark navy blue rayon blend with a bit of heft. Upon receiving it I realized that the fabric had a bit of sheen to it, and though it is pretty, I don't need the extra pizzaz at the hip and thigh level, so I went with the more matte side, and it is exactly what I wanted. 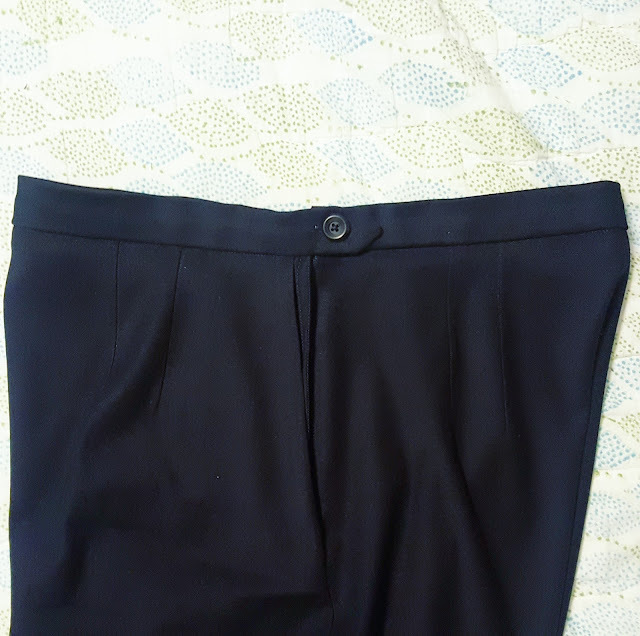 The stretch from the fabric was very high, so I had to make sure to interface the waistband with a no stretch interfacing in order to have some structure there. The legs and hips are nice and flexible, though, and for this pear-shaped lady, that is exactly what I wanted! The pattern only needed a few minor adjustments to work for my crotch curve, which made my job easier. 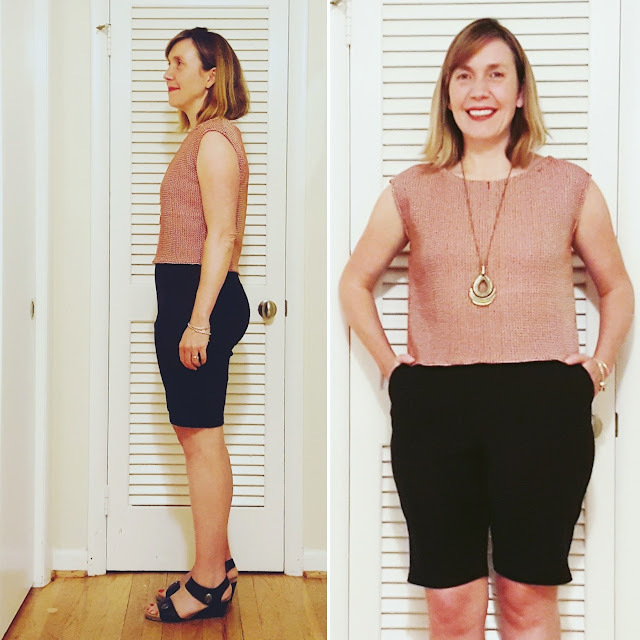 I converted the size 16 to work for me, but made sure to use and grade the hips to the waist to a 14 since my waist is much smaller than my hips. The waist is fairly small, though, it only measures at 30" in the size 14. 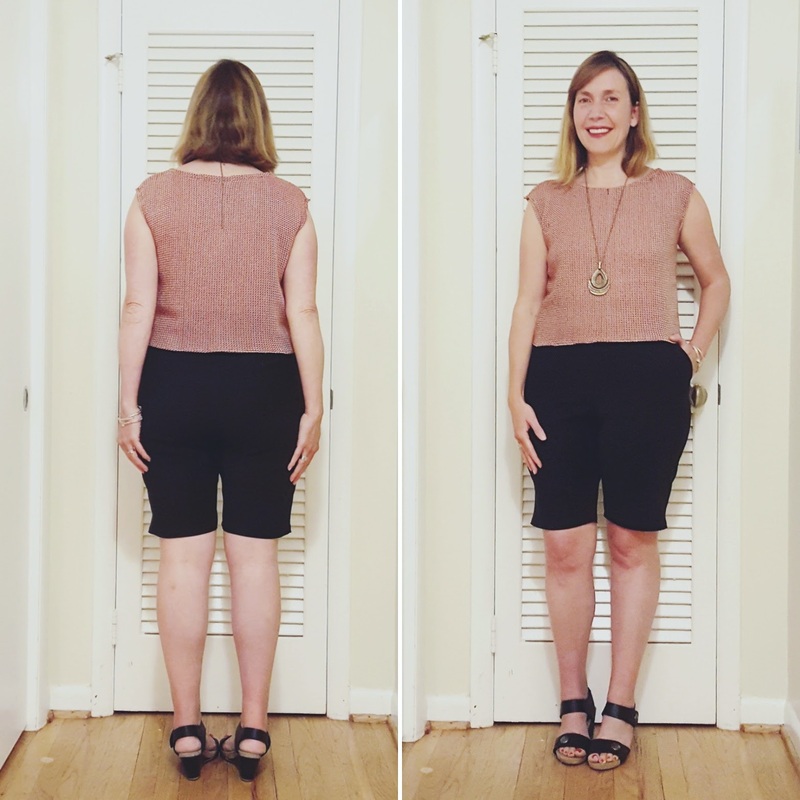 Now granted, this is a pair of shorts that means "above your waist" when they speak of waist (read really really really high-waisted), but if you do have a larger waist in proportion to your frame, you may need to adjust the waist to fit you properly. I really like the style of the shorts, but did not really enjoy the process of making the lapped zipper for the side seam. It turned out fine, and the pocket and zip lay flat when worn, but I think next time I will just install an invisible back zip with a button closure at the back seam. I just prefer those and also find them easier to install. But it was an interesting process, and one I can check off my sewing "have done" list. The Vogue pattern instructions have not been updated from their 1960 copy. They even want you to sew in your interfacing at the waistband. I gave that one instruction a "nope," but did all the other ones exactly as instructed. I even managed to find a vintage zip from my stash that was the right measurement and even was "recommended" for exactly what I was trying to do (see the photo above). I really love how the waistband turned out. It looks tidy, neat, and as professional as this lady is capable of making. The button closure is really sweet and special-looking, too! The top is made from a open weave cotton blend sweater knit, and I had visions of this easy to wear simple, short-sleeved sweater. 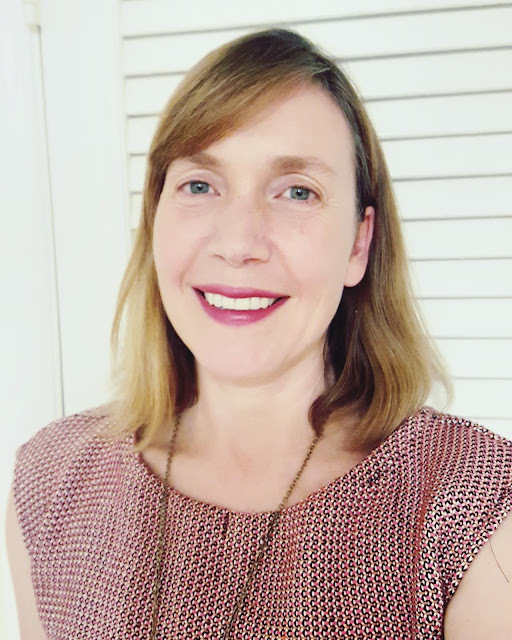 Well, it does meet those criteria, but the neckband was very difficult to make work, and while I know the pattern (Simplicity 8336) itself works for the sweater, I needed to do something else for the neckline. In the end I applied the neckband, saw it was standing away from the neck, and I turned it back in on itself and stitched it down. It works better, and doesn't stand away from my neck, but I had to put a lot of effort into the construction of the top. I think I may undo the stitch right at the center front, and instead continue the stitching as I had for the back neckline. I hadn't realized how visible the stitch was at the center front, and though the neckline stitching around the neck will show, it will be a continuous line as opposed to a easy to see singular element. I am pleased with the top (which I sewed up in a size small), though, and will wear it when I need just that right top with that right skirt or short. I do like how cropped it is, and because the shorts are so high-waisted, it is a perfect match. I will be on the lookout for more cotton open weave sweater knits. I can tell you that for all the minor struggles I had making the top, it is awesomely comfortable and wonderfully cool for an area such as mine with high heat and humidity all summer long. I do encourage those of you who decide to sew cotton loose weave sweater knits to consider using a serger for all seams and finishes. This fabric frayed quite a bit, so I had to have a very careful hand when working with it, and though you could enclose all the seams in binding, the serger makes quick work of finishing the seams and definitely keeps the knit fabric from fraying. 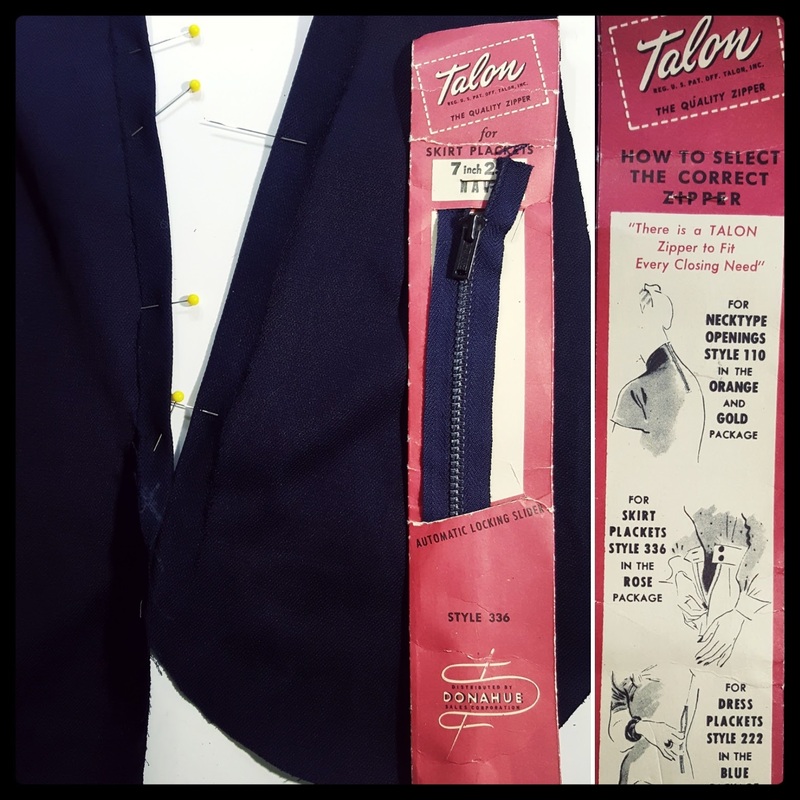 What is the one thing you've sewn that you wear all the time? I am very interested to see what yours is! I really like this outfit and brava on that finish of pocket + zipper. That always seems like it would be so complicated to do. What would you suggest for finishing the neckline? I have a pretty oatmeal colored sweater knit that I've wanted to make a simple top from (M6519) but don't know what would be best/most attractive for the neckline. Are these shorts really high-waisted? 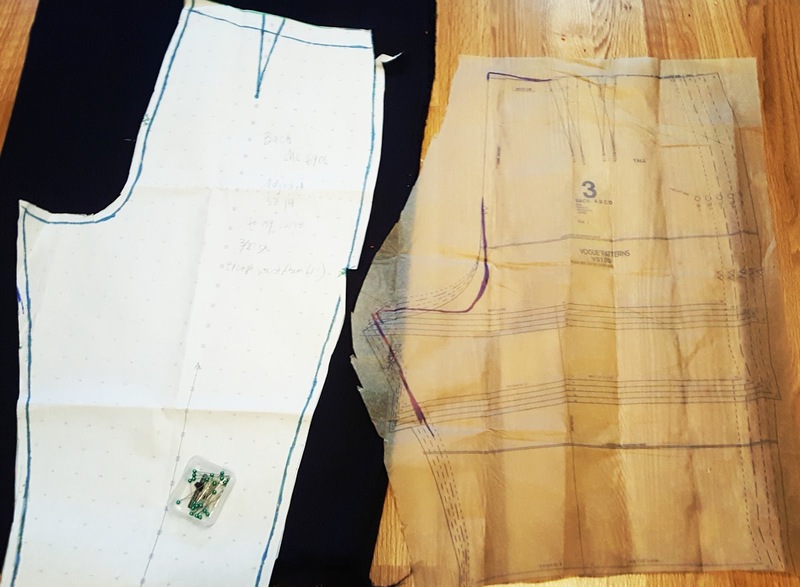 The drawings on the pattern all show the shorts sitting at the natural waist and not above it. Is that not the case? Well, no matter. The fact that the petite, average, and tall versions are truly that makes the pattern very tempting.